Aren’t Rivers Juristic, Legal Persons And Living Entities? On 7 July, 2017 Supreme Court stayed the final judgment passed by the Nainital Bench of Uttarakhand High Court in Mohd. Salim v State of Uttarakhand dated 20 March, 2017 that gave recognition to the “legal status as a living person/legal entity to Rivers Ganga and Yamuna r/w Articles 48-A and 51A (g) of the Constitution of India". The order came upon hearing the Special Leave Petition of State of Uttarakhand against the verdict. The one sentence order reads: “In the meantime, the operation of the impugned order shall remain stayed.” The Bench of 44th Chief Justice of India Jagdish Singh Khehar and Justice D Y Chandrachud heard the petitioner’s counsel in the absence of the counsel for the respondents mentioned as ‘caveator-in-person’. The misreporting of the order by media provided an incorrect impression that Supreme Court has pronounced that Ganga and Yamuna rivers are not living entities. In a legal context wherein Paris Agreement has been adopted by United Nations Framework Convention on Climate Change (UNFCCC) which is aimed at the protection of Mother Earth, a living person and a legal entity, it is eminently clear that any interpretation declaring rivers as non-living and non-legal entities cannot be defended and judicially sustained. This treaty has been ratified by India, Nepal and Bangladesh as well. The treaty notes the importance of ensuring the integrity of all ecosystems recognized as Mother Earth. In law, only legal wrongs against a legal entity can be protected. The reference to Mother Earth in the treaty draws on Law of the Rights of Mother Earth of South American country Bolivia that establishes new rights for nature including: the right to life and to exist; the right to continue vital cycles and processes free from human alteration; the right to pure water and clean air; the right to balance; the right not to be polluted; and the right to not have cellular structure modified or genetically altered. It also includes the right of nature "to not be affected by mega-infrastructure and development projects that affect the balance of ecosystems and the local inhabitant communities". The original law was adopted in December 2010 and its successor Framework Law of Mother Earth and Integral Development for Living Well was passed in October 2012. In Bolivia, Mother Earth is called 'Pachamama'. Drawing on previous judgments in Yogendra Nath Naskar v. Commission of Income-Tax, Calcutta (1969), Moorti Shree Behari ji v. Prem Dass (1972), Ram Jankijee Deities v. State of Bihar (1999), Shiromani Gurudwara Prabandhak Committee, Amritsar v. Shri Som Nath Dass (2000), and Corpus Juris Secundum, Vol. VI & Vol. LXV, Salmond on Jurisprudence, Jurisprudence by Paton and Analytical and Historical Jurisprudence, the Uttarakhand High Court Bench of Justices Rajiv Sharma and Alok Singh concluded that "We may, therefore, define a person for the purpose of jurisprudence as any entity (not necessarily a human being) to which rights or duties may be attributed." Following this inference the Division Bench gave a land mark verdict wherein it observed that in para 16 that "to protect the recognition and the faith of society, Rivers Ganga and Yamuna are required to be declared as the legal persons/living persons." The verdict noted that "The extraordinary situation has arisen since Rivers Ganga and Yamuna are loosing their very existence. This situation requires extraordinary measures to be taken to preserve and conserve Rivers Ganga and Yamuna." The 12 page long verdict observes, "The rivers have provided both physical and spiritual sustenance to all of us from time immemorial. Rivers Ganga and Yamuna have spiritual and physical sustenance. They support and assist both the life and natural resources and health and well-being of the entire community. Rivers Ganga and Yamuna are breathing, living and sustaining the communities from mountains to sea" at para 17. Para 20 of the judgment reads, "The Advocate General shall represent at all legal proceedings to protect the interest of Rivers Ganges and Yamuna." Para 19 of the verdict reads: "Accordingly, while exercising the parens patrie jurisdiction, the Rivers Ganga and Yamuna, all their tributaries, streams, every natural water flowing with flow continuously or intermittently of these rivers, are declared as juristic/legal persons/living entities having the status of a legal person with all corresponding rights, duties and liabilities of a living person in order to preserve and conserve river Ganga and Yamuna. The Director Namami Gange, the Chief Secretary of the State of Uttarakhand and the Advocate General of the State of Uttarakhand are hereby declared persons in loco parentis as the human face to protect, conserve and preserve Rivers Ganga and Yamuna and their tributaries. These Officers are bound to uphold the status of Rivers Ganges and Yamuna and also to promote the health and well being of these rivers." While order has done something which should have been long back, its observation on the petition of Mohammad Salim saying: “Rivers Ganges and Yamuna are worshipped by Hindus. These rivers are very sacred and revered” seems to be a hurried inference. The order states: “The Hindus have a deep spiritual connection with Rivers Ganges & Yamuna. According to Hindu beliefs, a dip in River Ganga can wash away all the sins. The Ganga is also called ‘Ganga Maa’. 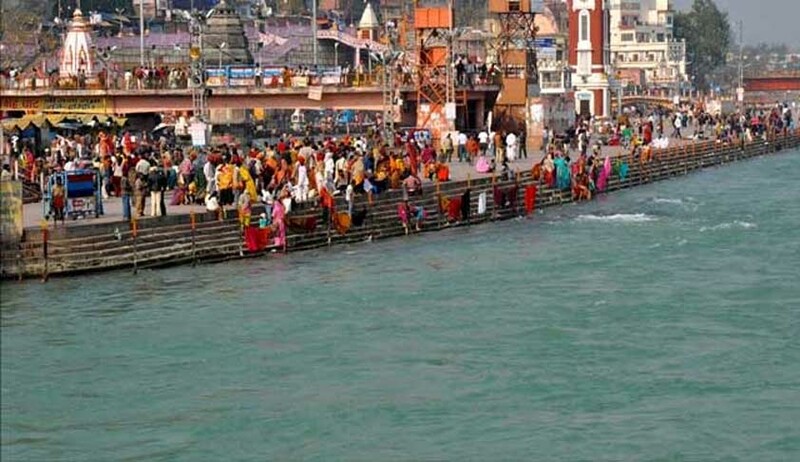 It finds mentioned in ancient Hindu scriptures including ‘Rigveda’.” The fact is that since time immemorial Indians have worshipped rivers like Ganga before the word “Hindu” was coined. The petition of Mohammad Salim demonstrates that Ganga is revered by all the inhabitants of historical India irrespective of their faith. The fact is that Himalayan rivers like Ganga and Yamuna are central to the existence of the entire population of the Indian subcontinent “from mountains to sea” for their health and well being. The issue of jurisdiction of High Court with regard to Ganga raised by Uttarkhand government appears quite myopic and devoid of understanding of Ganga as a transboundary river basin. If the issue of jurisdiction is raised in such parochial manner then Union of India did not have the right to declare Ganga as a national river because it is an universal truth that it is an international river as it is shared by Nepal and Bangladesh as well. If this kind of approach is allowed to have a field day then even India, Nepal and Bangladesh together cannot claim total jurisdiction over Ganga because it is part of the Himalayan watershed which is shared by countries of South East Asia and China. Such anti-river protection stances can be deemed valid only in an environment of deeply flawed and sterile legal imagination which impedes environmental conservation. Given the fact that Supreme Court remains seized with the Ganga related cases it can easily remove administrative conflicts. In any case jurisdictional conflicts don not make “legal persons/living persons” into non-legal/non-living persons. The current situation seems to underline the need for reporters covering environmental matters in the Courts to undergo a course on ecosystem to appreciate that rivers do no respect national and jurisdictional boundaries. In a related development, on the very day of the Uttarakhand High Court verdict, New Zealand enacted Whanganui River Claims Settlement Act recognizing the Whanganui river as a rights-bearing entity and a legal person. It is quite apparent that the High Court verdict like the laws enacted by Bolivia, New Zealand and UNFCCC makes river a party to every treaty, negotiation and dispute and can imply that all rivers are juristic, legal persons and living entities and can extend to all the water bodies and other creatures of nature. While the matter is pending in the Supreme Court, it will be appropriate for the proposed amendment in the Interstate River Water Disputes Act, 1956 to incorporate the essence of the verdict of the High Court in the definition of "Water dispute" and “river basin” . At present it remains confined to dispute or difference between two or more State Governments. The 14 page long Inter- State River Water Disputes (Amendment) Bill, 2017 faces a logical compulsion to widen the scope of parties to the dispute. The Bill refers to “river basin” but continues to treat river as a pipeline of water despite envisaging “an agency which shall maintain data relating to water resources, land, agriculture and such other matter” with the aim of “maintaining a data bank and information system at the national level for each river basin”. In the light legal developments across the globe, the Bill has the option of incorporating lessons from New Zealand, Bolivia and the UN law besides the wisdom of the High Court. Article 48A of the Constitution of India states that the State shall endeavour to protect and improve the environment and to safeguard the forests and wild life of the country. Article 51 A (g) states that it shall be the fundamental duty of every citizen to protect and improve the natural environment including forests and Wildlife. Paris Agreement entered into force on 4 November 2016. So far 153 Parties out of 197 Parties to the Convention have ratified it.